LONDON – August 30, 2018 - Piriform Software Ltd. announced that it has released CCleaner v5.46 which introduces redesigned data settings. Piriform has also published a new Data Factsheet to help CCleaner users understand what data is collected by the product, its purpose, that data collected is anonymous, aggregated and only includes non-personal data, and to outline user privacy options and settings. This latest version decouples the reporting of anonymous usage data introduced in v5.45 and the Monitoring feature which was controlled by the ‘Active Monitoring’ checkbox. To better describe its purpose and underline the fact that it does not report usage data, the Monitoring feature, which monitors a device’s junk level in order to trigger automatic cleaning and alerts, has been renamed Smart Cleaning. 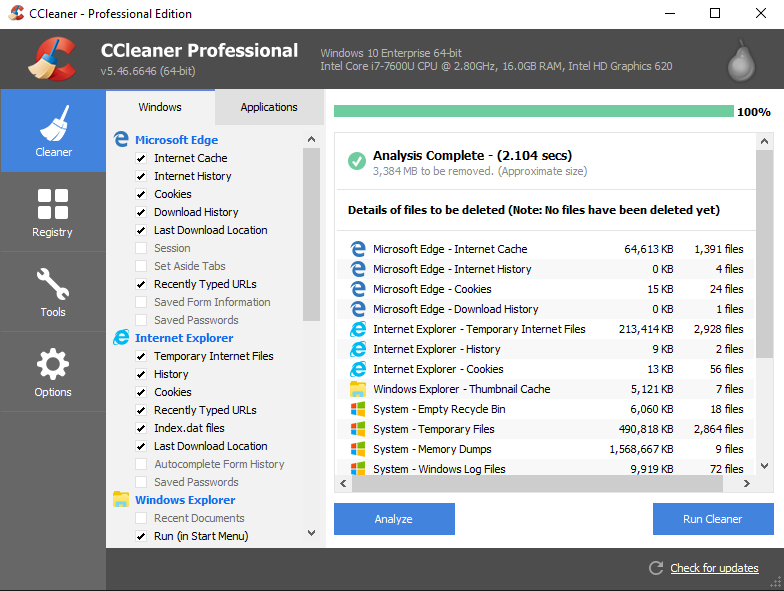 CCleaner’s Smart Cleaning options have also been explained more clearly so the user can better understand the cleaning preferences available to them. If Smart Cleaning is disabled, CCleaner’s background process will close and will not run again unless re-enabled. A separate control for the reporting of anonymous usage data has also been introduced into CCleaner's ‘Privacy’ tab, which allows users to opt out. CCleaner safely cleans and optimizes devices across the world to free up space, clear online browsing and keep PCs working at peak performance. It has been downloaded over 2 billion times worldwide and has around 80 million active users. As well as clearing unnecessary files and data, it allows users to quickly and easily uninstall apps, control startup items and manage browser plugins. Piriform, which is now known as CCleaner, was founded in 2004 and is a global leader in system optimization software with hundreds of millions of home and business users worldwide. Its portfolio of software tools optimizes computing performance, improves security and extends the useful life of hardware. As well as the flagship CCleaner, which makes PC, Mac and Android devices clean, safe and run fast, CCleaner also develops Defraggler which defragments hard drives, Speccy which delivers PC insight and Recuva which recovers lost or deleted files. A CCleaner product is installed more than 23 million times a month and installs have taken place in every single country worldwide.